Made of heavy duty nylon cloth, centre hole, tape reinforced, grab handles each in carry bag. Made of heavy duty nylon cloth, centre hole, tape reinforced, grab handles. Comes in carry bag. Made of heavy duty nylon cloth, with 2 holes on each panels & points printed against each hole. 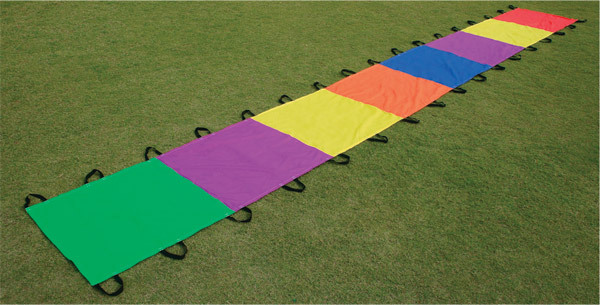 Panels are in 4 colours for equally dividing them to the teams for targets. Comes with a carry bag. Made of mesh fabric, centre hole, tape reinforced & grab handles. Comes in carry bag. Made of alternating nylon & mesh fabric with centre hole, tape reinforced & grab handles. Comes in carry bag. 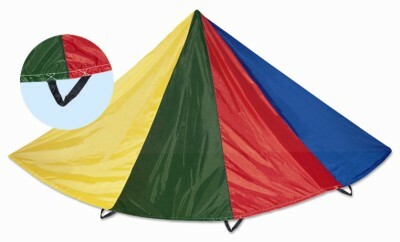 Made of bright Fluorescent colours 100% polyester fabric with tape reinforced center hole and sides, with grab handles. Comes neatly packed in a carry bag. 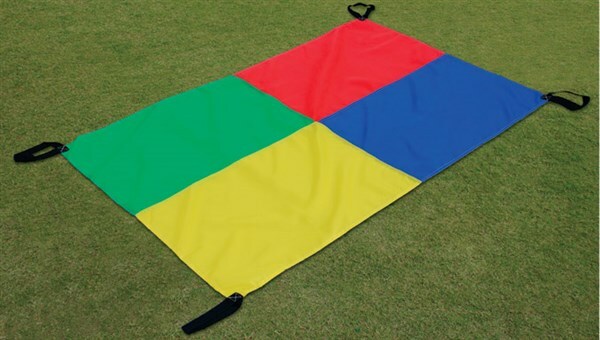 Rectangular shaped long parachute made of six colours polyester fabric. Borders are tape reinforced with 34 handles. 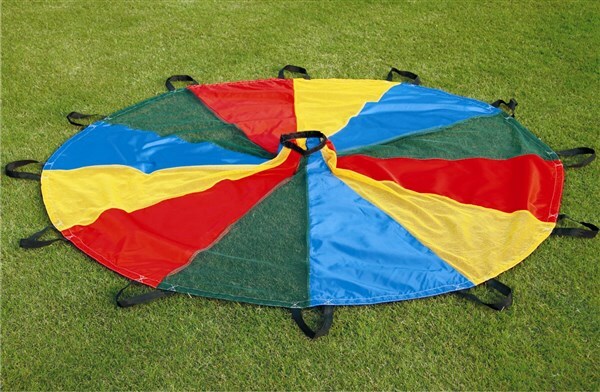 Great fun product for improving supportive activities and play. 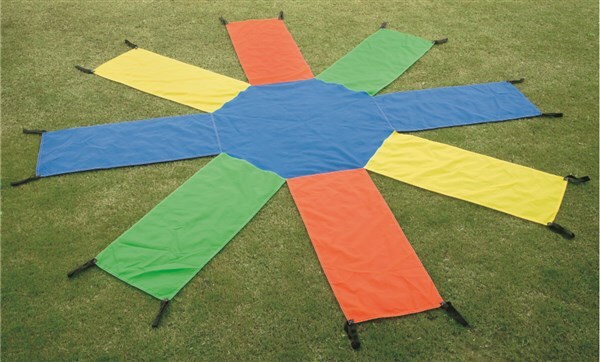 Rectangular shaped parachute made of polyester fabric. Borders are tape reinforced with 4 handles. 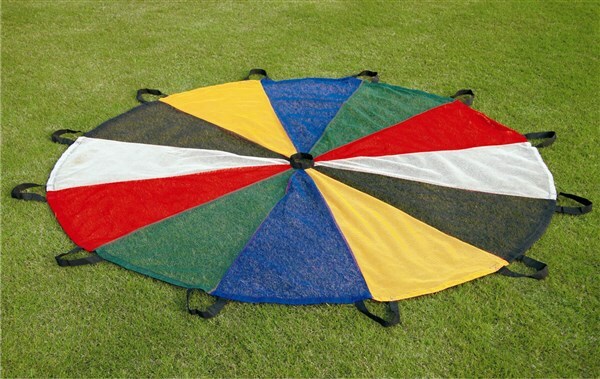 Great fun product for improving supportive activities and play. Available in four colour pattern and single colour pattern.